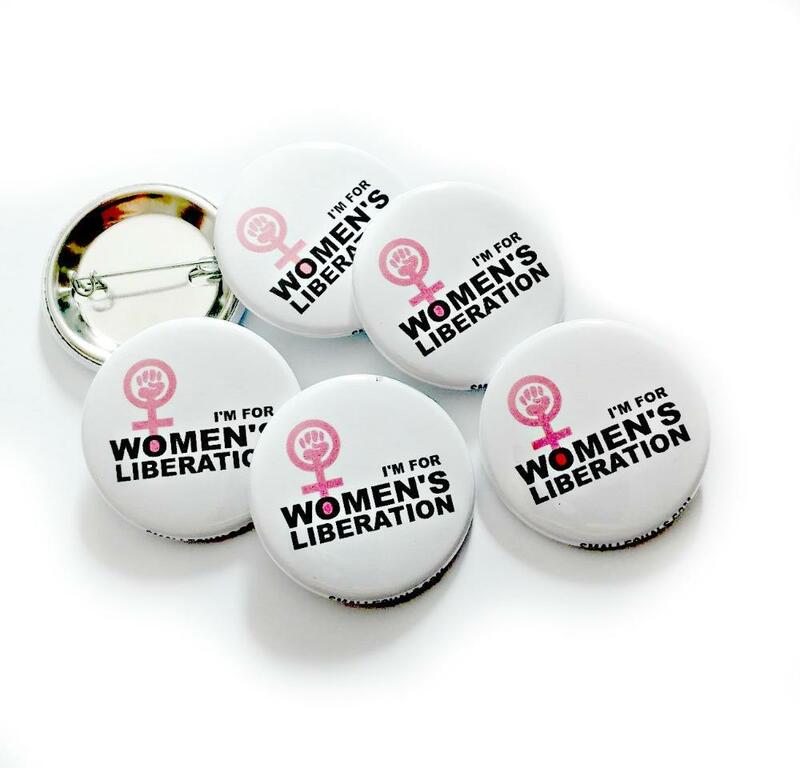 I'm For Women's Liberation. 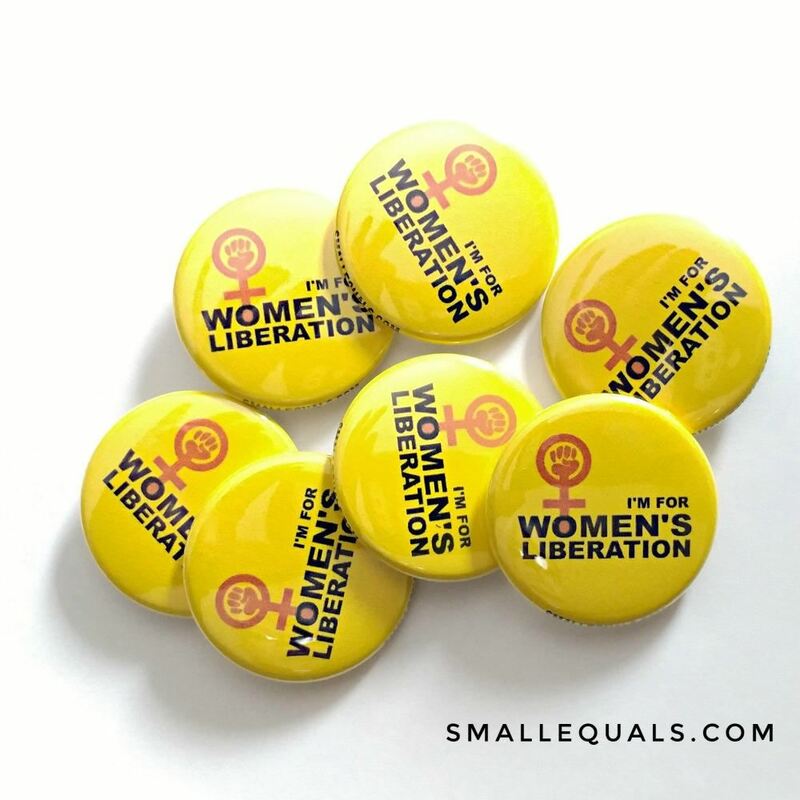 Feminist button in yellow or white. Liza Cowan Design. 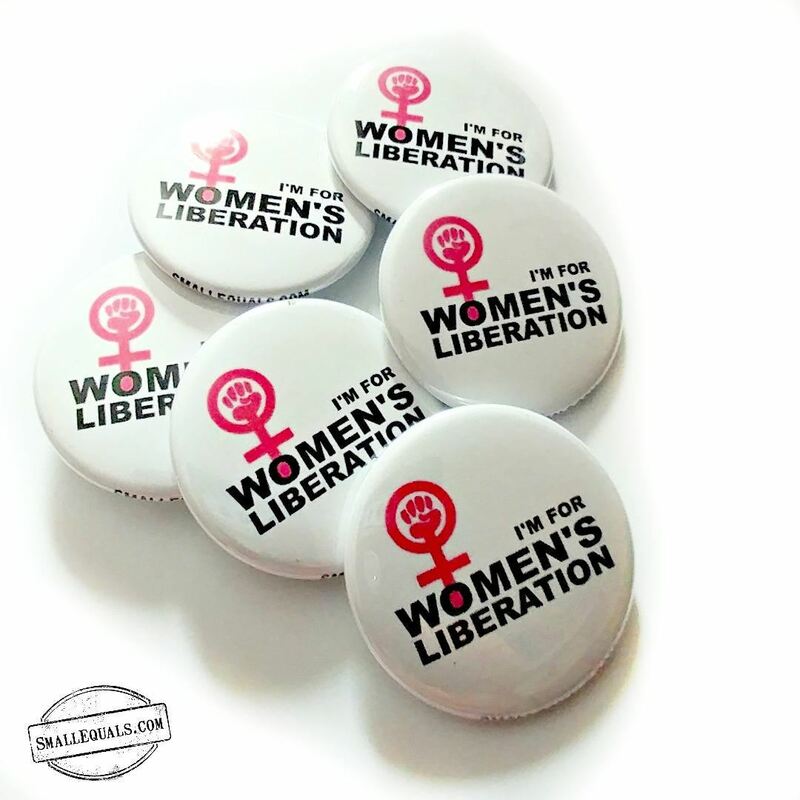 I'm for women's liberation. 1.5 inch pinback button. 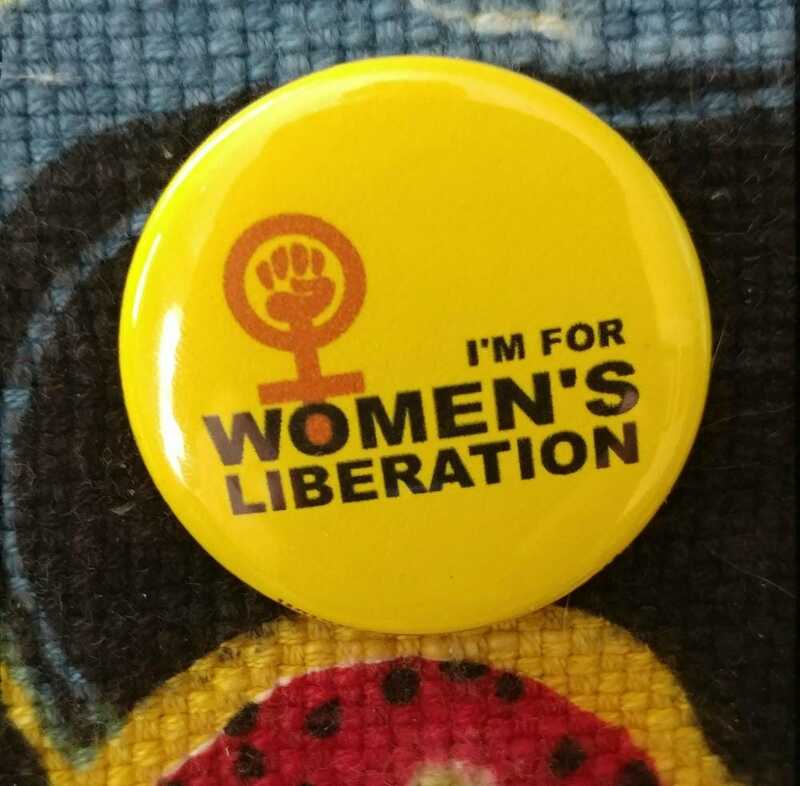 Brand new button, designed by Liza Cowan. Available in white or yellow. Both have black letters and red women's power symbol. 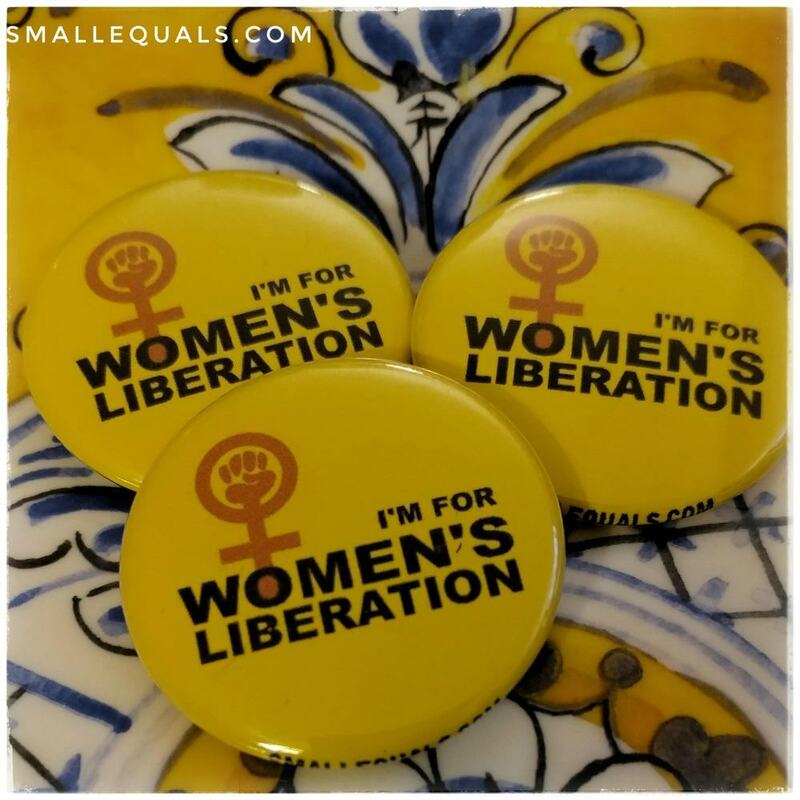 When I first started thinking about these issues, back in the early 1970's, we called it Women's Liberation. These days, the phrase is almost obsolete. But it's a great description and I'm ready to start rocking it again. I hope you are, too. great as a gift, as a prize or to show your support. These buttons are so well taught out, so beautifully made, the service is impeccable and the politics outstanding! Thank you for your design and commitment!